Randy Couture -- voted "The Greatest Fighter of All Time" by viewers' choice -- recounts his record-breaking career, which has made him an undisputed UFC legend. Randy Couture wins fights with the seemingly effortless ease with which lesser mortals eat or breathe. He's the only athlete to have held championship titles in both the heavyweight and light heavyweight divisions of the UFC, and he's the only six-time title earner in UFC history. 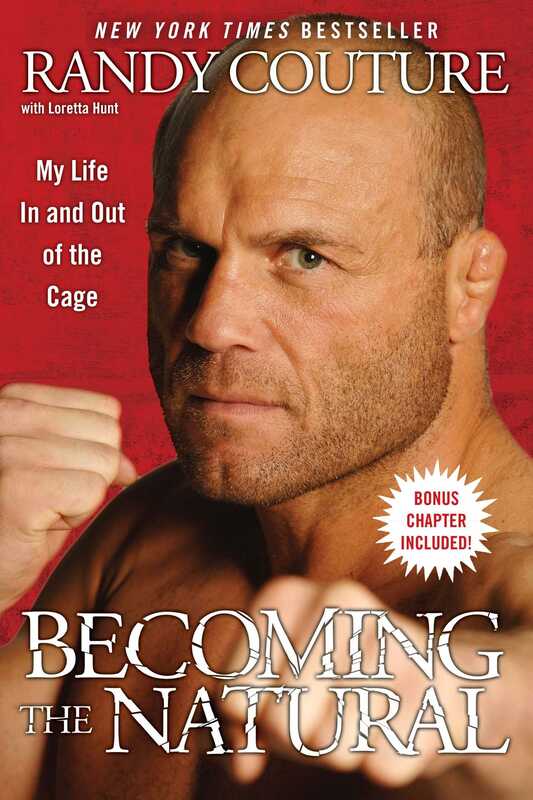 In Becoming the Natural, Couture tells his story for the first time, beginning with a childhood spent in search of an elusive father figure, followed by the pure adrenaline rush that accompanied his first wrestling bout in grade school. In 1997, at the age of thirty-three, Couture made his UFC debut, defeating two opponents in the heavyweight class and then scoring a TKO victory against Brazilian phenom Vitor Belfort to earn the nickname "The Natural." He won his first heavyweight title that same year. At the age of forty, he defeated five-time defending champion Tito Ortiz for the undisputed light heavyweight title. Couture retired in 2006, only to reemerge the following year and seize the heavyweight championship title once again. Becoming the Natural is the remarkable story of one of the world's most gifted and dedicated athletes -- a born fighter whose skill and showmanship have helped to lift mixed martial arts out of the shadows and into the mainstream. Randy Couture is a Greco-Roman wrestler and professional mixed martial arts fighter. A member of the UFC Hall of Fame, he is the only athlete to have held championship titles in both the heavyweight and light heavyweight divisions of the UFC. He lives in Las Vegas with his wife and stepson.